Vashikaran By Tasveer or Photo is the remote or Dur Se Vashikaran of any desired man or woman using a photograph of the desired person. It is one of the most famous and of all Vashikaran Mantra Prayog and is sure to give the desired results if practiced correctly, using the correct Vashikaran Mantra. This is tried and tested Vashikaran technique, which was published some years earlier on this site. The Vashikaran Mantra used is a specific kind of Vashikaran Mantra Chant that is suitable for concentrating upon the photo of the desired person. Recently we have published a video with English text and Hindi commentary to make the procedure easier to follow. Even though, the Vashikaran Mantra Prayog has been prescribed for 21 days, during which it has to be chanted 1000 times daily, it has the potential to make the Vashikaran Spell work in just a couple of days. However, the 21 days period is for making the Vashikaran Spell stronger and long lasting. Tratak in the context of this Vashikaran Prayog is the stilling of the mind by ceasing all thoughts and emotions and then single-mindedly concentrating upon the photograph of the desired lover or life partner, while chanting the Vashikaran Mantra. However, for making the Vashikaran Mantra work, the practitioner should be very strongly attracted towards the target person desperately and wish to become the lover or life partner of the target person. This is the most essential ingredient in any remote Vashikaran Experiment, including a Vashikaran By Photo Prayog because the experiment has to be practiced with intensity, which will make the thoughts of the practitioner take over the mind of the desired person. If this Vashikaran Mantra Prayog is practiced without intensity, it will simply turn into a mechanical exercise that will be a waste of time and energy and give no results. Many people who copied this Vashikaran Mantra from our site have added some unnecessary procedures and rituals, which will prove to be counterproductive and make it difficult for the practitioner to fully concentrate upon the photo of the desired person. Vashikaran Sadhaks who wish to attempt this experiments should remember that along with intensity, single minded concentration upon the photo of the target is the key for successfully casting the love spell of the target. 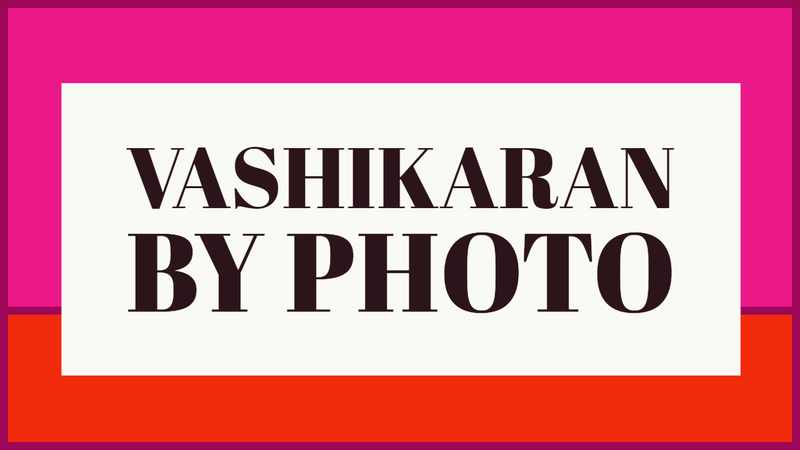 If you have already practiced this Photo Vashikaran Mantra Prayog, please share your thoughts, experiences and suggestions in the comments section for the benefit of other readers. Can it be a mobile photo or it must be hard copy?